For dancers and dance enthusiasts alike, the best dance movies of all time are not only entertaining, they're also inspiring. Just about every genre of dance has some movies that go along with it, and just about every decade of movie history has a great dance movie or two. Depending on which styles of dance you like most, there are plenty of excellent dance movies. 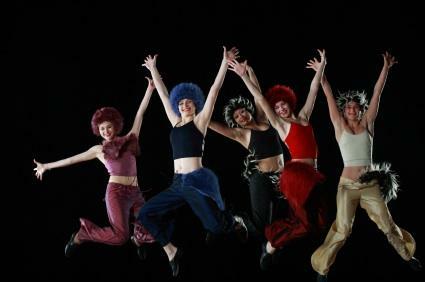 Some movies focus on traditional musical dancing, such as A Chorus Line, while others focus on popular music and dance of the time period when the movie is made, such as Saturday Night Fever or Step Up. All of these movies feature great dancing, regardless of their style. The movies of Fred Astaire and Ginger Rogers are great examples of classic dance movies. One great example is Singing in the Rain, but there are plenty more movies made by these two dance masters, and the whole genre is a classic both for movie lovers and for dance lovers. One of the most traditional forms of dance, ballet has inspired several movies. This movie has a general plot as well as a lot of classical dancing done by talented young dancers. The plot includes the daily life and challenges of young dancers studying at a professional ballet school; while the characters are sometimes stereotyped, the dancing is great and the problems are authentic, albeit caricaturized. A classic ballet story, and common life story; the two main characters in this story each want what the other has. Even in the ballet world, you can't have it all, and this movie incorporates this theme very nicely in addition to being a great dance flick. Hip hop dance movies are bringing the genre of dance movies to a whole new level. Not only is this genre making it so that many more dance movies are being made, but it's also the case that many more people are getting interested in dance and dance movies because this genre of dance is loved by an entire generation-these movies aren't just for dancers. Topping off the list of great hip hop dance movies is Honey, the story of a girl who has faith in inner city kids' ability to do something with their lives. Not only is the dancing excellent, the plot is also reasonably good, and the dance finale is one of the best within the genre. This was one of the first dance movies in the hip hop genre and has a wide appeal because it crosses genres. Julia Stiles' character is a classical ballet dancer whose schooling is disrupted by her personal life and brought back on track by an unlikely 'teacher'. Hip hop brings something fresh to her dance technique, but also to her desire to dance. Both the original Step Up and the sequel (The Streets) are hip hop dance movies loved by a wide audience. Hip hop dancers and ballet dancers alike usually find these films to give a fresh new perspective on dancing. The plots are sometimes predictable, but this doesn't always detract from the enjoyment of the movie. Regardless of which genre of dancing one is into, there are a few dance movies that have gone down in history as classics of the genre. Time will tell if the newer hip hop movies will stand the test of time; these classics already have! John Travolta's smash hit features disco dancing and music that will bring everyone back to the 1970s whether they were alive during that decade or not! This summer movie appeals both to dancers and to young adults the world over. The plot is also sometimes predictable, but Patrick Swayze and Jennifer Grey more than make up for it. One of the greatest dance musicals of all time, Michael Bennett's story of ten young dancers trying to make it as chorus dancers in New York is a classic of dance history. Each dancer tells their life story and the show/movie begins and ends with fantastic ensemble performances. If you're looking for some inspiration in your dance world, or simply looking to enjoy a quiet Saturday night at home, one of these movies might make an excellent choice.